Last week's topic: Nails. This is one of the topics that I'm suuuper interested in! 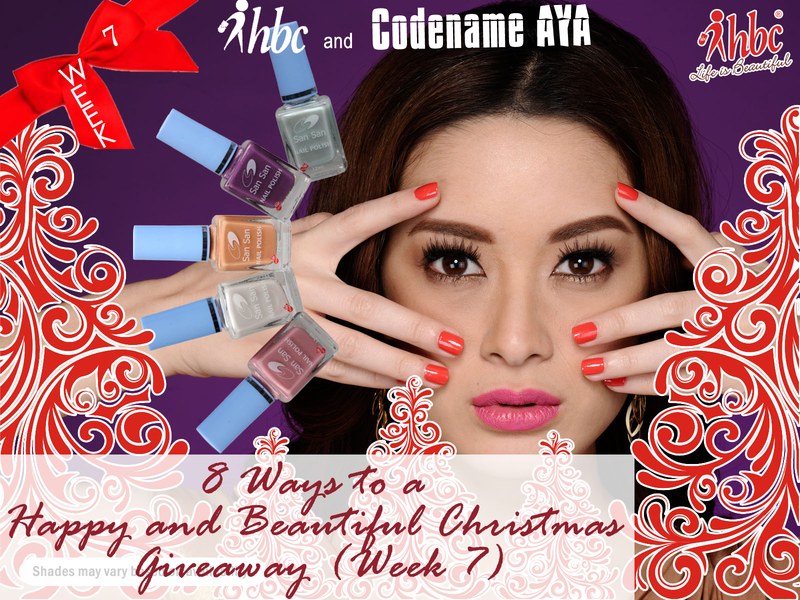 If you haven't seen my NOTD's, then let me tell you that I love applying color on my nails. The downside to that is the nail staining. Oh, yes, nail polishes can stain the nails and leave them yellow. What I do to prevent that is I use a really good base coat. Right now I am using the base coat from The Face Shop. So far, it's way better than the other base coats I've tried. I don't only keep my nails pretty with color, I also make sure that my hands are also well-kept. I mean, what's the use of having really cool nail designs on your nails when your hands are so scary to look at? Hand lotion, cuticle oil, regular manicure - these are the things I cannot live without re: hands and nails. Here is Aida's WINNING ANSWER! 1. Your nails are true reflection of what you eat. Eating fast foods will in no way make your nails healthy and strong. 2. Hand lotions help to moisturize the hands and strenghthen the nails, so be sure to use them after your hands have been in water. 3. Ensure that you do not use nails or blades to remove nail polish this will do a lot of damage to the nails. 4. You can put your nail polish in the freezer so as to keep the nail polish smooth and perfect for the next use. 5. An inexpensive and quick way to fix dry or brittle nails is to use petroleum jelly. Ensure that you carry a small jar everywhere, massaging it into your cuticles and nails as you deem fit. 6. While filing nails, begin with the sides and brush towards the center, using light stroked in the same direction. Please try as much as possible to avoid filing nails back and forth, it weakens or break the nails. 7. To get glossy and gleaming shine, rub olive oil over nails. 8. Ensure while cleaning the nails, you remove all traces of nail polish. That's it! You will have fab looking nails especially this Christmas." Thumbs up! Thanks, Aida, for those really really helpful and important tips and reminders! If we follow these tips, I'm sure our nails would look fab! 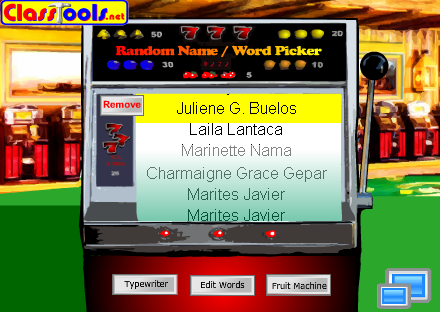 And for the random selection of the other winner, I used Fruit Machine. There were a total of 16 participants and 84 valid entries. My secret for fab looking nails is to be sure to care them properly and in the right way and to be sure that they'll really look fabulous, the use of San-san nail polish will make the nails more fabulous!